The students of the new Palm Desert communication practicum radio class are excited to launch Paws Radio. Photo courtesy of Laurilie Jackson. The CSUSB Palm Desert campus began offering its first radio production class this fall quarter as part of the ongoing goal to expand and diversify the programs offered to students. Maintaining their permanent satellite location since 2002, the campus serves as the only four-year institution in the Coachella Valley and the only university named in the state budget. This June, Gov. Jerry Brown signed a state budget granting the Palm Desert campus three million in one-time funds, making a total of $20 million for the institution to use for future development and to increase enrollment. While the satellite campus currently enrolls only about 1,400 students, plans to increase the number to 10,000 were unveiled in 2016. Longtime goals for the expansion of the Palm Desert campus include nine additional academic buildings and the integration of the campus into the Cal State system as a standalone university. While the state budget does not cover infrastructure and the campus building expansion relies on private donations, the funding will benefit the growth of the desert institution in terms of capacity and the skills acquired by its students. Laurilie Jackson is the instructor for the Communication Practicum: Radio course, and she feels very enthusiastic about the expansion of the Palm Desert campus’ media department. When their equipment arrives, the students will begin working with microphones, a mixing board, and a program called Audio Vault. The recording studio in Palm Desert is still in the process of being completed, but in the meantime, students are using the GarageBand program to create legal ids, promos and sweepers. “I enjoy the ability we have to be creative and deciding what kind of content we want to use in class. 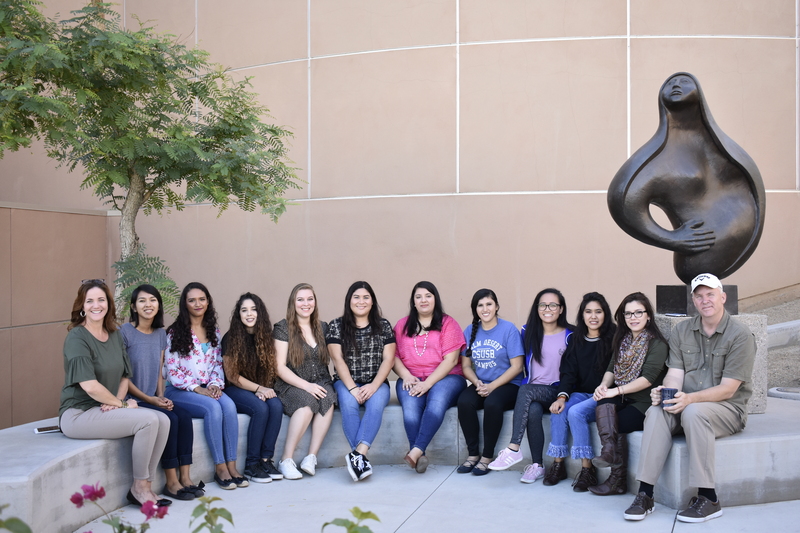 They’re no rules or limitations [when it comes to what students can work with],” stated CSUSB Palm Desert senior Bibiana Perez. “Even though I’m in PR, it’s still something I’m interested in and I want to go into the entertainment business after I graduate, so I’m hoping this class will help me learn more about it,” said Perez. Top 40, R&B/Hip Hop, Alternative and Indie music, as well as News and Talk Shows are the kinds of programs the radio class is interested in producing. The future of Paws Radio looks bright, with the formation of a Paws Radio Club to offer DJ opportunities to other interested students on campus. The students taking the actual radio class have first priority for shows and air-time, but everyone will have an opportunity as long as their ideas are approved by Paws Radio staff and go through proper training. “My goal is to help Paws Radio become a unique voice for CSUSB Palm Desert students. Paws Radio will offer a variety of programs, including both music and talk, and will sound different from other stations. In fact, our tagline is Paws Radio… Sounds different! I am thrilled to be part of this exciting new venture,” stated Jackson. Celebrity drama: Why do we care?